The canoe trip starts for example from Gudenåcamping Brædstrup and end in Voervadsbro or Klostermølle (14 or 20 km down the stream). The canoeing at Gudenåen starts the campsite, between 9.00 am and 10.00 am from, where you can paddle quietly down the stream. You can enjoy your lunch along the way and enjoy the beauty and variety of nature. 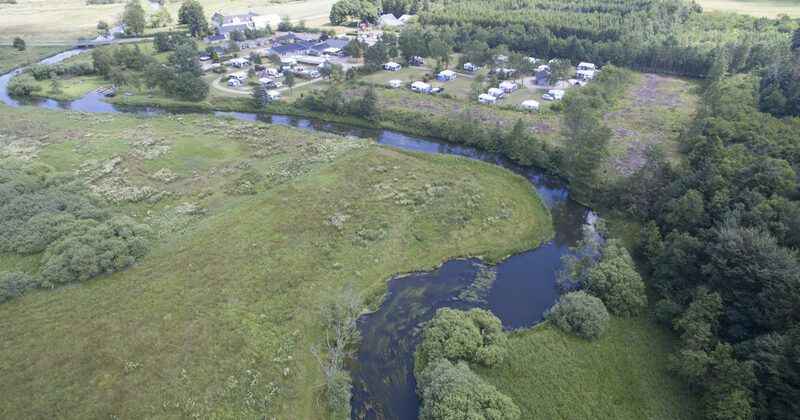 Then end the trip at Voervadsbro camping site or Klostermølle by 5:00 pm at latest (the canoes must be up the river), after which the canoe owners collect the canoes. Since one cannot sail against the river at Gudenåen until Mossø, the canoe renter must pick up the canoes wherever they land after the sailing.